Valley Honda, of Naperville and Aurora, is Illinois’ Largest Volume Honda Dealer* and one of the largest volume Honda dealerships in the entire United States. 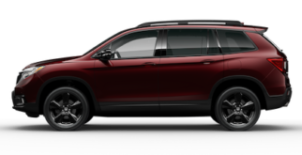 Valley Honda’s vast on-site Honda inventory attracts Honda buyers, not just from Naperville and Aurora, but Schaumburg, Glenview, Downtown Chicago, Joliet, Bolingbrook, Rockford, Wheaton, St. Charles, Geneva, Woodridge, Downers Grove, Oswego, to name a few. Valley Honda has been recognized by American Honda Motor Co., Inc. for its tremendous commitment to customer satisfaction. 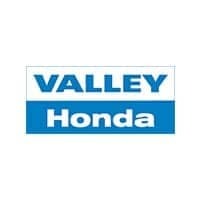 In early 2019, Valley Honda learned that for the twelfth straight year (2007, 2008, 2009, 2010, 2011, 2012, 2013, 2014, 2015, 2016, 2017, and 2018) it had become the winner of the Honda President’s Award, Honda’s highest dealership honor for customer satisfaction. Founded in 1969, Valley Honda moved from its former facility on New York Street and now operates on over 60,000 square feet of sales and service facilities on 16 total acres of property. All of our properties are utilized to serve Honda customers, and are located near the corner of Ogden Avenue and Route 59. It is with tremendous joy that we serve our customers and fellow Valley Honda associates.